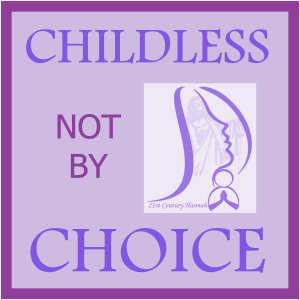 Thank you for listening to another episode of Childless not by Choice! I appreciate your taking the time to listen in once again. Thank you to my repeat listeners. And if you are listening for the first time, I hope you will come back for another visit! Mrs. Maureen Hornstein is originally from a small town in Minnesota, USA. At University, she studied Speech-Theater, Music, and Education. Upon graduation, she joined the staff of a faith-based organization, Campus Crusade for Christ International now known as Cru. Maureen and her husband, Hank, have spent most of their careers living in three countries outside of the United States. Currently, Maureen is the Women’s Asia Strategy Coordinator for the Jesus Film Project. On that project, she works with various media tools that help women realize that no matter what their family or country may think of them; God their Creator, made them valuable. Was it a conscious decision to work and live outside the United States? In your bio, you say that you help women realize that no matter what women’s families and cultures may tell them, their Creator values them. How exactly do you convey this truth to women? Is this through your Jesus Film Project, or in your daily life’s journey? When did you and your husband realize you would not be having children? Do you both come from large or small families? Was there any pushback from either of your families when they realized you weren’t having children? Did you and your husband have to journey to a place of acceptance? What suggestions would you have for women struggling with childlessness? “Empathy is finding echoes of another person in yourself.”–Mohsin Hamid.